Glitter / Brillo originally uploaded by victor_nuno. Glittering glasses and sparkling eyes. Nice wines and heart warmth. Glasses holding wines, and our bodies holding our souls. At the toast, glasses meet, and eyes as well. It’s not glasses what glitter. It’s souls. Brillo de vasos y brillo de ojos. Buenos vinos y calidez de corazón. Vasos que contienen vinos y nuestros cuerpos que contienen almas. 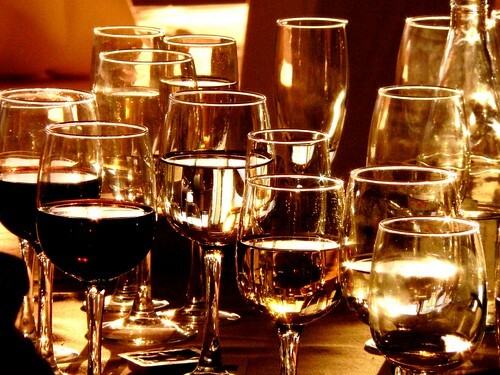 En el brindis, los vasos se encuentran, y los ojos también. No son los vasos lo que brillan. Son las almas. Hi, I’m an admin for a group called ΟΙΝΟΣ – WINE, and we’d love to have this added to the group! You are invited to display your image and join our jolly group! I Wish I’d Drank it!!! Hi, I’m an admin for a group called Reflections and Fractions, and we’d love to have this added to the group!